Lead the approval process and preparation of training materials and workshop facilities e.g. assessment booths, to enable accreditation from JTL for the approval of the CompEx training at Ogere Training Centre. Development of a 6-month training program for Human Capability Development as part of the Egina FPSO project local content (total of 100 trainees), including the successful implementation of training and preparation of the delegates to start OJT. Delivered on time and within budget the design & implementation of the SAPETRO O & M training for all key personnel from the Seme OPF in Benin Republic. (total of 30 Trainees) Resulting in the successful completion by all competence modules by the participants in the Ogere training centre and their subsequent graduation. Management of Master Contract to supply annually, (after 12 month’s training at Ogere,) a stream of entry level operators and maintenance technicians for Chevron Nigeria for their onshore OPF and GTL plants, including support to Agbami FPSO and the subsequent provision of OJT and competence assurance of the trainees, ensuring compliance with OPITO certification standards. Prepared and delivered a range of advanced training modules for experienced workers based the site needs at the Escravos plant and Agbami FPSO. Managed start-up training at Guinness Nigeria state of the art plant in Lagos, including vendor training, using assigned instructors and OJT trainers providing competency development for technical training and management development, also acted as in-house management trainer and coach to graduate entry level trainees. Acting Safety Manager during his study leave. Conducted routine safety management of plant, Safety Audits and accident reporting to corporate head office, including supervision of volunteer fire team, organized annual safety week. Presented regular safety training for new employees. Managed major graduate recruitment / selection campaign for technical trainees and management trainees. Coordinated induction and familiarization training of all new staff. Managed the NAFCON training centre, initiated the OJT campaign for all operators and maintenance technicians, supervised 2 expatriate OJT trainers, to support Nigerianisation developed IDPs for all leadership positions in the fertilizer plant to close-out identified gaps in knowledge or experience, conducted a series of DDI Interaction Management training for all managers, also the development of career maps to plan for promotions and necessary attendance of professional training overseas. Liaised with various government bodies e.g. the ITF. Successfully prepared my own replacement by a Nigerian. First Nigerian qualification centre accredited to deliver world-leading technical standards. 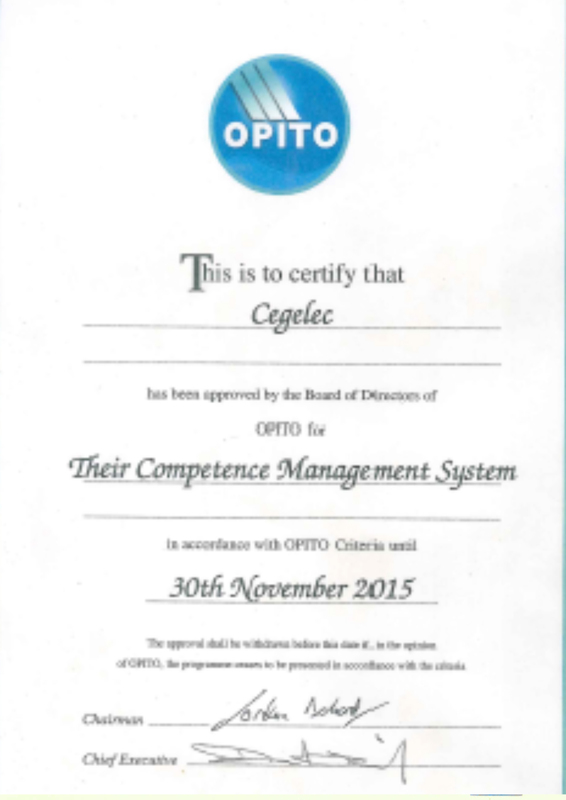 INTERNATIONAL oil and gas skills organisation, OPITO, is making Nigeria safer for oil and gas workers with the accreditation as a technical qualification centre of a second training company.